Business organizations can be structured in various ways, both as legal entities and in terms of internal management processes. From a legal structure perspective, many business structures require a form of incorporation to register the business as a legal entity. The business entity’s type, its geographic span of operations, risk profile, and other factors are issues to consider when choosing what entity type to use. There are various forms of organizational structures from a corporate law perspective, including sole proprietorships, cooperatives, partnerships, limited liability companies, and corporations. One of the issues dividing the different organizational structures is that of liability. With sole proprietorships and some forms of partnership, owners can be personally liable for business losses, meaning their personal assets are not protected against the claims of creditors. Internally, organizations can also be structured differently, in terms of the groupings of organizational relationships and the characteristics of management. Some common structures are the functional, divisional, matrix, team, network, and modular structures. Independent from their legal and internal structures, organizations can also operate differently. For example, hybrid organizations, which may fall under various legal categories, can mix elements, value systems and logics of action from the private, public, and voluntary sectors. liability: An obligation, debt or responsibility owed to someone. incorporate: To form into a legal company. hierarchy: Any group of objects ranked so that every one but the topmost is subordinate to a specified one above it. Business organizations can be structured in various ways, depending on their standing as legal entities, internal structure, and management processes. Pre-bureaucratic (entrepreneurial) structures lack standardization of tasks. This structure is most common in smaller organizations and is best used to solve simple tasks. The structure is totally centralized and appears like a hierarchy. The strategic leader makes all key decisions and most communication is done by one-on-one conversations. It is particularly useful for new (entrepreneurial) business as it enables the founder to control growth and development. Weber said that the fully developed bureaucratic mechanism compares with other organizations exactly as does the machine compare with the non-mechanical modes of production. Precision, speed, unambiguity…strict subordination, reduction of friction and of material and personal costs are raised to the optimum point in the strictly bureaucratic administration. Bureaucratic structures have a certain degree of standardization. They are better suited for more complex or larger scale organizations, usually adopting a tall structure. The tension between bureaucratic structures and non-bureaucratic is echoed in Burns and Stalker’s distinction between mechanistic and organic structures. Employees within the functional divisions of an organization tend to perform a specialized set of tasks; for instance, the engineering department is staffed only with software engineers. This leads to operational efficiencies within that group. However, it could also lead to a lack of communication between the functional groups within an organization, making the organization slow and inflexible. As a whole, a functional organization is best suited as a producer of standardized goods and services at large volume and low cost. Also called a “product structure,” the divisional structure groups each organizational function into a division. Each division within a divisional structure contains all the necessary resources and functions within it. Divisions can be categorized by different points of view. One might make distinctions on a geographical basis (a US division and an EU division, for example) or on product/service basis (different products for different customers, households, or companies). In another example, an automobile company with a divisional structure might have one division for SUVs, another division for subcompact cars, and another for sedans. The matrix structure groups employees by both function and product. This structure can combine the best of both separate structures. A matrix organization frequently uses teams of employees to accomplish work, in order to take advantage of strengths and make up for weaknesses of functional and decentralized forms. An example would be a company that produces two products, “product a” and “product b. ” Using the matrix structure, this company would organize functions within the company as follows: “product a” sales department, “product a” customer service department, “product a” accounting department, “product b” sales department, “product b” customer service department, “product b” accounting department. Matrix structure is amongst the purest of organizational structures – a simple lattice emulating order and regularity demonstrated in nature. In the US and elsewhere, many business structures require a form of incorporation to register the business as a legal entity. The owner files articles of incorporation with the secretary of state’s office for the particular jurisdiction. The organization may also hold meetings, select a board of directors, adopt bylaws, and report on a regular basis. The business entity’s type, its geographic span of operations, risk profile, and other factors are issues to consider when choosing what entity type to use, in what jurisdiction to incorporate, how the articles should be drafted, and if a stock form should be used. There are various forms of organizational structures from a business perspective, including sole proprietorships, cooperatives, partnerships, limited liability companies, and corporations. All of these structures are for profit, but there are also non-profit corporations and other structures. The differences in structures can depend on the number of entrepreneurs or owners involved, and the different tax treatments. One of the issues dividing forms is that of liability. With sole proprietorships and some forms of partnership, owners can be personally liable for business losses, meaning their personal assets are not protected against the claims of creditors. These organizational structures are also not separate entities from the owners/entrepreneurs, unlike a corporation. Independent from their legal and internal structures, organizations can also behave differently. For example, hybrid organizations, which may fall under various legal categories, can mix elements, value systems, and logics of action from the private, public, and voluntary sectors. The sole proprietorship structure has the benefit of simplicity and control but the drawback of unlimited liability. The sole proprietorship is a type of business structure open to businesses run and owned by one entrepreneur. A large advantage of the sole proprietorship structure is its ease. The sole proprietorship structure does not require filing of articles of incorporation, regular meetings, or election of a board. A sole proprietor also files taxes as personal income. The other side of this process is the structure’s main disadvantage: there is no separation between the entrepreneur and the business. This means the sole proprietor is personally liable for business losses. Also, if the proprietor dies, the business ceases to exist. entrepreneur: A person who organizes and operates a business venture and assumes much of the associated risk. Business organizations can be structured in two major ways, namely, in terms of their structures as legal entities and also in terms of the internal structure and management processes. The sole proprietorship is one type of business structure from a legal status perspective. It is a structure open to businesses run and owned by one entrepreneur. Sole Proprietors: Small businesses are often structured as sole proprietorships. A large advantage of the sole proprietorship structure is its ease of filing incorporation and tax documents as well as having uninterrupted control of the business. The sole proprietorship is one type of business structure in the US that does not require formal incorporation, meaning that sole proprietors do not need to formally file articles of incorporation, hold regular meetings, or elect an advising or directing board. This simplicity is also reflected in tax treatment, as a sole proprietor files taxes as personal income. Sole proprietors also have control over the aspects of their business without the involvement of elected board members. On the flip side, the sole proprietorship has one main disadvantage: there is no separation between the entrepreneur and the business. With sole proprietorships, like some forms of partnership, owners can be personally liable for business losses, meaning their personal assets are not protected against the claims of creditors. The sole proprietorship is not a separate entity from the owner/entrepreneur, unlike a corporation. As a result, if the proprietor dies, the business ceases to exist. Because the enterprise rests exclusively on one person, it often has difficulty raising long-term capital. The partnership structure has the benefit of simplicity and control but the drawback of personal liability for the partnership’s activities. The partnership is a type of business structure open to businesses run and owned by two or more entrepreneurs. A large advantage of the partnership structure is its ease, in terms of filing and tax treatment. 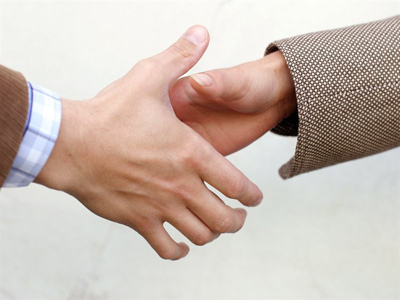 A general partnership can be started with no special formalities. The partners are taxed individually on their share of the partnership’s profits. The structure’s main disadvantage is that partnership owners can be personally liable for business losses. The partnership is not a separate entity from the owners/entrepreneurs, unlike a corporation. Types of partnership beyond the general partnership have developed to mitigate some of the disadvantages of the structure. Limited partnerships and limited liability partnerships are two examples. Business organizations can be structured in various ways, in terms of their structures as legal entities and also in terms of the internal structure and management processes. The partnership is one type of business structure. The partnership is the next simplest business structure after the sole proprietorship. Because sole proprietors can only have one owner, the partnership is the simplest structure open to collaborative ownership. Partnership: The partnership is the simplest structure open to collaborative ownership. A large advantage of the partnership structure is its ease in filing and tax treatment. With a general partnership, two or more people can start a business as co-owners with no special formalities, directly controlling the partnership and making binding decisions with a simple majority vote. The partners are taxed individually on their share of the partnership’s profits. By default, profits are shared equally among the partners. However, a partnership agreement will almost invariably expressly provide for the manner in which profits and losses are to be shared. The structure’s main disadvantage is similar to the sole proprietorship. Owners can be personally liable for business losses in some forms of partnership, meaning their personal assets are not protected against the claims of creditors. The partnership is not a separate entity from the owners/entrepreneurs, unlike a corporation. This means that the partnership structure is only as good as the partnership at the relational level. If the mutual consent to form a partnership breaks down, the partnership breaks down as well; partnerships are considered to be an aggregate of their partners rather than a separate entity. There has been debate in most states as to whether a partnership should remain aggregate or be allowed to become a business entity with a separate continuing legal personality. Types of partnership beyond the general partnership have developed to mitigate some of the disadvantages of the structure. Limited partnerships allow limited liability for some partners who have no management authority, and in some cases (depending on the jurisdiction) limited liability partnerships provide for limited liability for all partners. The corporate structure is less simple to found and maintain but has the advantages of limited liability and perpetual life. Compared to sole proprietorships and partnerships, the corporation is more complicated to found and maintain, one of its disadvantages. The incorporator must file articles of incorporation as well as hold an organizational meeting to elect a board of directors. The structure also generally requires the maintenance of at least annual reporting, including annual financial statements and other data. One of the most favorable advantages of the corporate structure is the protection of personal assets of stockholders, directors, and officers. They are limited in liability to the amount they have invested in the corporation. Also, because the corporation is an entity separate from its owners, ownership is easily transferable. Similarly, the corporation does not cease to exist with the death of shareholders, directors, or officers of the corporation. Business organizations can be structured in various ways, in terms of their structures as legal entities and also in terms of the internal structure and management processes. The corporation is one type of business structure. Exxon Mobil Corporation: One of the world’s largest companies by revenue, it is structured as a corporation. Compared to other business structures, such as sole proprietorships and partnerships, the corporation is less simple to found and maintain, one of its disadvantages. The incorporator must file articles of incorporation with the secretary of state’s office in the state in which it will be incorporated, as well as hold an organizational meeting to elect a board of directors. The structure also generally requires the maintenance of at least annual reporting. In many jurisdictions corporations, whose shareholders benefit from limited liability, are required to publish annual financial statements and other data, so that creditors who do business with the corporation are able to assess the creditworthiness of the corporation and cannot enforce claims against shareholders. Shareholders, therefore, experience some loss of privacy in return for limited liability. There is also the issue of double taxation, wherein the corporation is taxed on its profits and shareholders are also taxed on their earnings. One of the most favorable advantages of the corporate structure is the protection of personal assets. Stockholders, directors, and officers of a corporation are typically not liable for the company’s debts and obligations. They are limited in liability to the amount they have invested in the corporation. This limited liability also makes financing more attractive from a risk perspective. Also, because the corporation is an entity separate from its owners, ownership is easily transferable. Similarly, the corporation does not cease to exist with the death of shareholders, directors, or officers of the corporation. Another benefit of the corporate structure is that, in the United States, corporations are generally taxed at a lower rate than are individuals. S corporations are merely corporations that elect to pass corporate income, losses, deductions, and credit through to their shareholders for federal tax purposes. S status combines the legal environment of standard corporations with U.S. federal income taxation similar to that of partnerships. As with partnerships, the income, deductions, and tax credits of an S corporation flow through to shareholders annually, regardless of whether distributions are made. Thus, income is taxed at the shareholder level and not at the corporate level. Payments to S shareholders by the corporation are distributed tax-free to the extent that the distributed earnings were previously taxed. Also, certain corporate penalty taxes (e.g., accumulated earnings tax, personal holding company tax) and the alternative minimum tax do not apply to an S corporation.